As technology evolves, customer demands and expectations are changing – even for security systems. It is therefore essential that security installers offer systems and services that meet these expectations. By future-proofing the platforms used in its security systems, Texecom is now adding real value to customers through a host of different integrations. By investing in the future in this way, the company is creating products that are more secure, more resilient and smarter – as well as being easier to install, with future upgrades easily added. Our technology includes industry-leading, graded intruder alarm systems, with added features such as building automation, smart control, enhanced communications and ease of use all adding real value for ever-more demanding customers. New products and technologies already available include firmware upgrades for the Premier Elite range of control panels, a Texecom Connect App, a new LCD keypad, the Texecom Connect SmartCom communicator and SmartPlug, new miniature shock sensors and more zones for Premier Elite control panels, the Texecom Cloud management platform and the TexecomPro App. Products in the pipeline include a new SmartHub for Texecom Connect. The Premier Elite firmware (V5 and upwards) makes the Premier Elite range of control panels fully compatible with the Texecom Connect platform. As the firmware can be uploaded to any legacy Premier Elite control panel, Texecom registered installers can now offer a wider range of benefits to both new and existing customers. The firmware is compatible with the Texecom Connect API, allowing advanced integrations to be created. It also enhances wireless expansion options and offers superior control of network data speeds. The Texecom Connect Smartphone App places system management and control into the hands of the user. In the past, intruder alarm systems often required customers to adapt the way they lived to fit around the restrictions of the system. The Texecom Connect App resolves this problem by offering customers full control over their graded alarm system from any iOS or Android device. For example, they can now manage peripheral devices, create automation ‘recipes’, view cameras and create system modes. By adding smart building management in this way, the App completely transforms the user experience and adds real value that can be enjoyed every day. The Premier Elite LCDLP-W wireless LCD keypad, using Ricochet mesh technology offers full programmability for both the end user and the installer. It has exactly the functionality as standard hard-wired Premier Elite keypads, even having the same footprint – the only difference is that no wiring is required. This means much easier installation and minimal disruption during fitting. It also allows end users to choose the location of the keypad without causing issues for installers. Additional wireless keypads can easily be added (where the control panel will support them), and because the LCDLP-W offers full functionality, it can even be carried around the site by the installer during set-up and walk testing. The Texecom Connect SmartCom is an Ethernet and Wi-Fi communicator that enhances the user experience by connecting any Premier Elite control panel to a local area network securely. It communicates using outbound connections, removing the need for the security installer to open any router ports or adjust network settings. This removes the issues associated with port forwarding while ensuring the highest levels of security, along with simple and fast installation. This means any installation with an internet connection can reliably use Texecom Connect with the addition of the SmartCom unit. Through Recipes, Texecom Connect allows a high degree of automation for both security and non-security applications. One tool that adds real value for end users is the Connect SmartPlug. It can be managed in different ways, including being switched manually, directly or via the Connect App, or it can be scheduled. For even greater flexibility, SmartPlug can be used as a part of a Texecom Connect Recipe. For example, motion detection in a certain part of a building could switch on lights or air conditioning; setting an alarm could also shut down power to any devices that have been left switched on. The Micro Shock-W miniature wireless shock sensor offers installers cost-effective and simple-to-install options to protect doors, windows and vulnerable points in buildings. Because the Ricochet-enabled wireless devices are so simple to install and can be easily concealed due to their small size, they can be used for a host of other applications, such as protecting cupboards and drawers, storage areas and fridges. Texecom Connect provides many reasons for end users to increase the number of devices on their wireless systems. Texecom has therefore upgraded all its Premier Elite wireless control panels so they are now expandable to 64. While there will still be a need for internal detection devices and door or window contacts for security, other devices can now easily be added to exploit the full flexibility of Texecom Connect. Texecom Cloud is a web-based portal accessible on any internet-connected device, it enables security installers to manage multiple alarm systems from one simple interface, simultaneously. This in turn helps them save money and increase revenues by being more efficient and adding value to their customers. The interface is clean, modern and intuitive, with navigation aided by a logical layout similar to many modern technology-based interfaces. Simple menus, clear icons and the use of breadcrumbs makes management a simple task. Security installers can also view all of their connections via an at-a-glance overview; this indicates in real-time if they have any systems which might require maintenance or remedial work, helping them to maintain the highest levels of customer service. The TexecomPro App gives Texecom’s registered installers instant access to the very latest technical product information, manuals, guides, technical bulletins, news, training and other useful material – as well as access to the company’s Installer Forum – all from a mobile device. Anyone new to the Texecom Registered Installer Scheme can register directly through the App or Texecom’s website. Easy to use and designed to offer fast navigation, TexecomPro simplifies the process of accessing relevant information quickly. Users can even save documents in your favourites. No more hunting on the website for product manuals or specification sheets – it’s all on the App. It provides a valuable arsenal of information and support which installers can access directly from a mobile in the field. 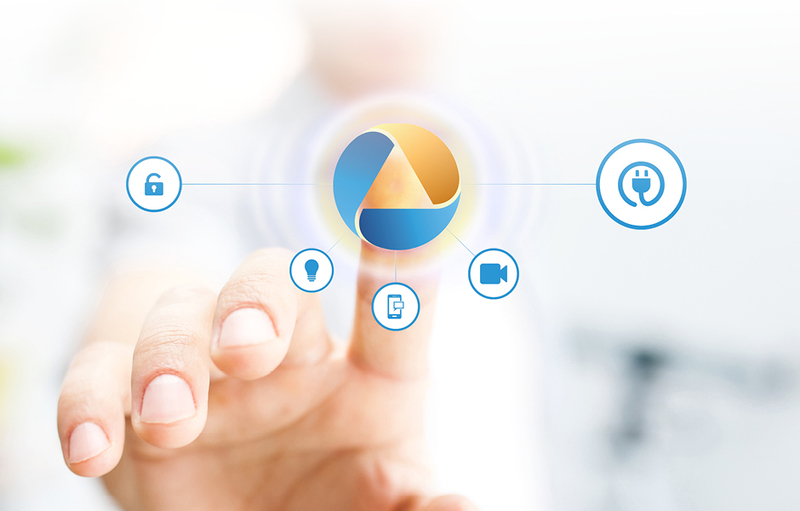 connectivity of the SmartCom, the SmartHub will simplify a number of tasks, such as support and recording for ONVIF cameras with pre- and post-alarm footage. It will also make control panel upgrades simpler by enabling ZWave IoT compatibility. Texecom has a justifiably proud heritage of protecting people and institutions around the world, covering every aspect of external and internal security, from motion detectors, control panels and perimeter protection devices to fire detectors, external sounders and wireless peripherals. It is the only UK security system manufacturer to excel at both commercial and domestic applications, with systems ranging from the most advanced security solutions for high value commercial buildings to residential systems with intuitive commissioning and simple operation. The company aims to add value by developing services – and not just products – that enable installers to be more profitable. It is also a forward-looking innovator and is leading its very own digital revolution in security and building automation, particularly through the integration of IoT. The company’s long-term vision is to extend its expertise into markets and applications beyond the traditional security industry. Texecom is a Halma Company. Halma makes products for hazard detection and life protection and is a are a market leader in specialist safety, health and environmental technologies.